You have just begun renting out property, but like a lot of people, you don’t understand your tax obligations. We at Rentguard want to help you, so here are some of the important facts that you need to know. While letting out property can potentially be a brilliant investment and deliver steady revenue, it also makes your tax affairs far more complex. You’ll most likely have to pay tax when you purchase the property, on any money you earn as a landlord and when you sell the property. This guide clarifies the main tax responsibilities you need to consider as a landlord. 1. What tax do I Pay when I buy the property? When you purchase land or property, you must pay Stamp Duty Land Tax – widely known as Stamp Duty. The amount of tax you pay is calculated as a percentage of the value of the property. Properties worth less than £125,000 are tax-exempt. Properties worth between £125,001 and £250,000 are taxed at 2%. Properties worth between £250,001 and £925,000 are taxed at 5%. Properties worth between £925,001 and £1.5m are taxed at 10%. Properties worth more than £1,500,001 are taxed at 12%. Reforms mean that Stamp Duty is now levied progressively, like income tax, with percentages stepping up above thresholds. As you plan your budget for buying a property, it is vital you include the cost of Stamp Duty: this sum can total thousands – even tens of thousands – of pounds. 2. How much is your income tax? The yields from renting out your property make up part of your income, so they are consequently subject to income tax, just as your other earnings are. But don’t worry. The rate of tax you pay obviously varies depending on your overall taxable income. As a basic rate taxpayer, you will pay 20%, while higher rate taxpayers will pay 40%. Currently, you pay the higher rate of tax on any earnings above £42,385. It could be valuable setting up a different account for your rental income. If you do this, your assets as a landlord won’t be mistaken for any other income and expenses. Keep in mind that only profits from letting out property are subject to income tax. To determine your profits, you take your total rental income and subtract any “allowable expenses”. This sum is the amount that will be subject to income tax. 3. What expenses are you allowed to offset against your rental income? HMRC deems any costs needed to fulfil your duties as a landlord or keep the property in good condition to be “allowable expenses”. As we said before, offsetting these expenses against your rental income could considerably cut your income tax bill. Advertising the property for rent. 4. 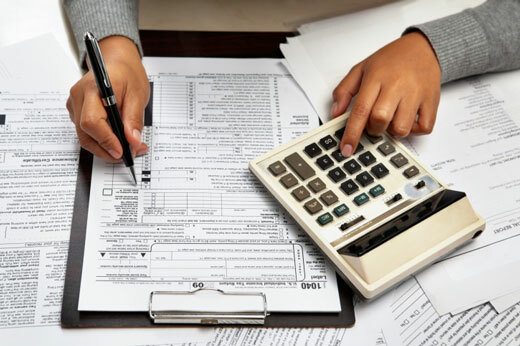 What is the difference between revenue and capital expenses? When determining your expenses, you have to understand the difference between revenue and capital expenses. Revenue expenses mean the usual overseeing and upkeep of the property and can be offset against your income tax bill. Capital expenses are those which boost the worth of a property, such as refurbishments or building a conservatory to provide more space for tenants. These kinds of costs cannot be deducted from your income tax bill. However, you might be able to offset these against any capital gains tax when you come to selling the property. Continue reading for more about capital gains tax. 5. What about tax and furnished properties? If you decide to rent out the property on a furnished basis, you can claim a “wear and tear” allowance, which enables you to make a deduction of 10% of the net rent per year. To calculate the net rent you will get, take the amount of rent you receive and minus any costs you pay that a tenant usually would, such as council tax. Another option is “renewals allowance”, whereby you can claim tax relief on the cost of replacing any furniture in the property. But bear in mind that you will need to subtract any profits you make if you then sell the furniture. Be aware that you cannot claim both “wear and tear” and renewals allowance on the same property, so it’s sensible to consider your choices prudently and pick the one that would reap the most benefit. 6. What tax will I pay when selling the property? When you feel it is time to sell, you will almost certainly be liable for capital gains tax on any profit. As you are undoubtedly aware, this is the tax you pay whenever you dispose of an asset, such as a building, land or lease. Every year, you’ll have an annual tax-free allowance, whereby you can make a certain amount of profit prior to the tax kicking in. In the 2015/16 tax year, this allowance is £11,100. Basic rate taxpayers pay capital gains tax at 18%, but this amount grows to 28% for taxpayers in the higher rate bracket. Even if you have relatively modest earnings from your salary, profits from the sale of a property may put you in the higher band. For more information on working out your capital gains tax rate, visit the GOV.UK website. Expenses incurred when improving the property. In the situation that you make a loss when selling the property, you may be able to deduct this from any other capital gains during that tax year or in the future. To learn more, visit the HMRC website. Remember that you won’t pay capital gains tax on your primary residence. This is called private residence relief. If you have lived in the property you’re letting out at any time, you may be able to claim tax relief for the last three years of ownership. Let’s think of a scenario to depict all of this. Imagine you owned a house for 10 years. During this time, you lived in it for two years and let it out for the remaining eight years. You would be eligible for tax relief on five years of home ownership (the two years of your residence, plus the additional three years). This would mean only half your profit from the sale would be liable for capital gains tax. There is a whole host of other possible deductions that you could get from your capital gains tax bill, so you should consider getting independent financial advice to find out more. 8. Do I have to fill in a tax return? When you are a buy-to-let landlord, you will have to fill in a tax return to declare rental income to HMRC. If your total income from rental property is above £15,000 per year, you must fill in a full tax return – although you may be able to complete a four-page return if your rental earnings fall below this threshold. You can also use your tax return to declare any capital gains or losses brought about by the sale of the property. 9. Should I get financial advice? Tax affairs for landlords can be exceptionally complicated. This guide only provides you with the basics, so it might be worth asking for professional advice from a tax expert based on your individual circumstances.